The office of Dr. Tamar Gottfried is conveniently located in the 1520 building on the campus of Banner Desert Medical Center in Mesa Arizona. This building, distinguished by its relaxing covered courtyard and underground parking, is minutes away from this world class hospital and from the Banner Desert Surgery Center. Ours is a solo Obstetric and Gynecology practice where you see your doctor at every visit. Dr. Gottfried does the great majority of her deliveries herself and is a member of the only all-female call coverage group at Banner Desert. In our office, we offer in house laboratory services, in house ultrasound (including confirmation of pregnancy ultrasound), electronic medical records, video colposcopy and in office surgical procedures with anesthesia services performed by a board certified anesthesiologist. Sterilization (tubes tying) procedures are done in the office with the Essure Procedure. Endometrial Ablation procedures to treat heavy monthly bleeding are also done in the office with the Thermachoice device. 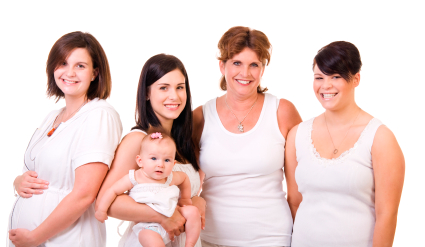 In addition, we offer IUD placement (both Mirena and Paragard), Implanon insertions, LEEP and cryotherapy procedures for abnormal Pap smears, pessary fittings for pelvic prolapse, basic infertility diagnosis and treatment, wart and skin tag removals, as well as a variety of other gynecology procedures. Dr. Gottfried loves taking care of pregnant patients. As a general obstetrician, she cares for women with low risk pregnancies as well as for women with health problems during pregnancy such as diabetes, high blood pressure, prior cesareans, hyperemesis (excessive vomiting), depression, and other conditions, in consultation with a high risk pregnancy specialist. We accept a variety of both private insurances and AHCCCS plans, participate in the Baby Arizona program, and even have self-pay plans available. Dr. Gottfried and most of her staff are fluent in Spanish and are happy to communicate with patients in either English or Spanish. We strive to treat each patient in the practice as an individual and do whatever we can to make the health care experience a positive one.